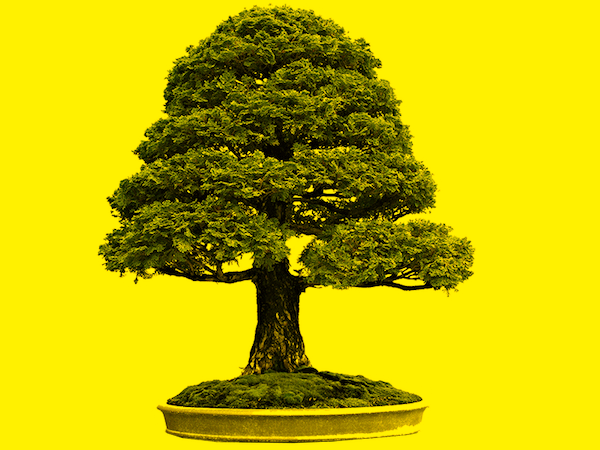 And in Japan, the tree is venerated and ennobled in a special way - the art of Bonsai. 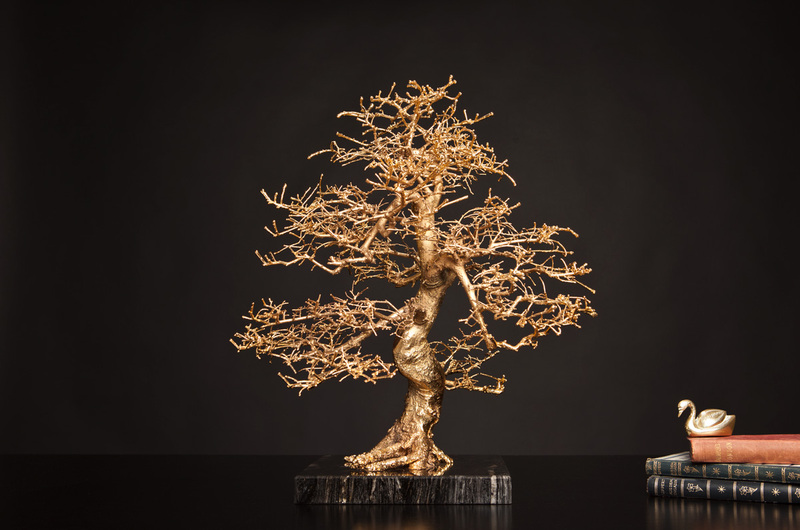 L'ARBRE SWITZERLAND surpasses even this art with the L'ARBRE D'OR, preserving each Bonsai with the ultimate in class – in 24-karat gold. 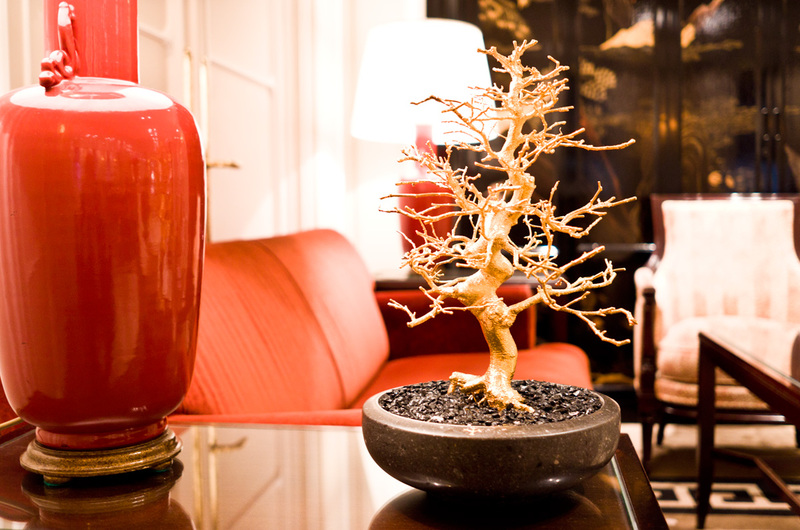 The L'ARBRE D'OR commands attention and works wonderfully as a special ornamental piece. It is the perfect touch to complement your interior furnishings, choice art pieces* and other decorative accessories. Each tree is unique, made in Switzerland to the highest standards. So each piece becomes a special jewel, reserved for a select few individuals. 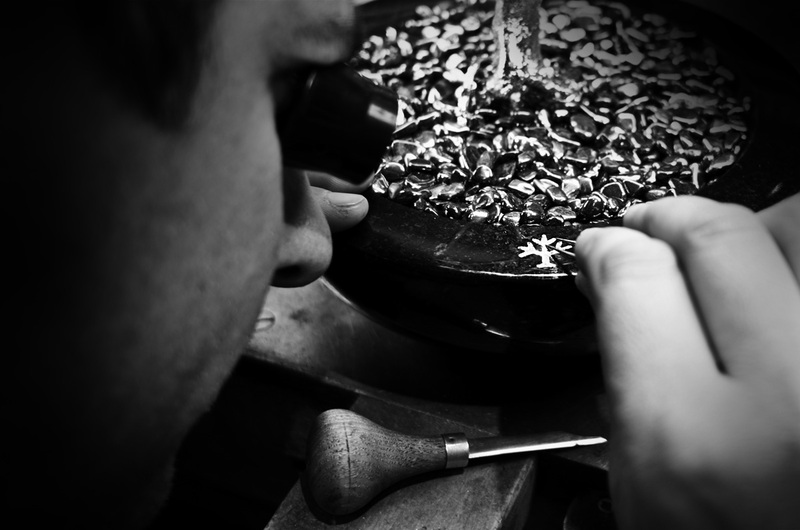 Each L'ARBRE D'OR is individually created and perfected by hand in Switzerland. Then, each piece is individually engraved and certified. Should you desire a different size or shape, we have these available, so we can custom-design your personalized L'ARBRE D'OR according to your unique vision. 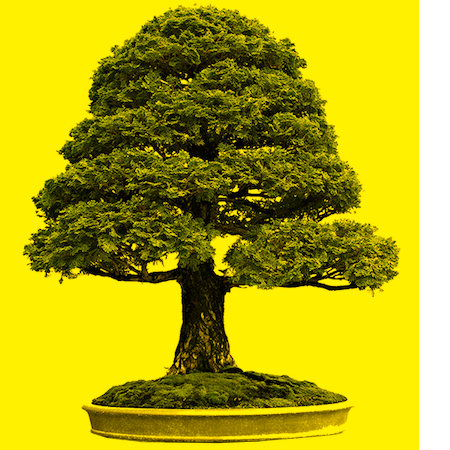 As an additional refinement, your Bonsai can be enhanced with sparkling gemstones, personalized engraving, your family crest or your company logo. 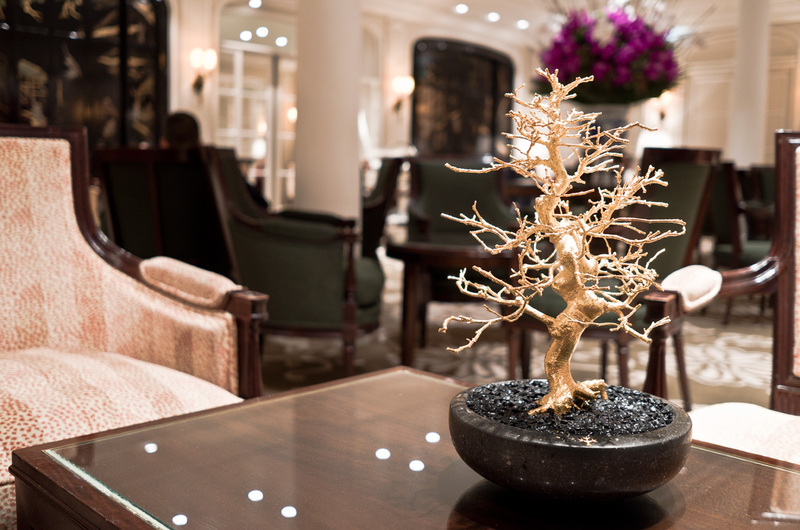 The base of the L'ARBRE D'OR is made from a selection of handcrafted marble. You can choose the perfect color and shape to suit your existing décor, like white marble of Carrara or black granit from Sweden. Depending on which base you choose, the tree will be refined with selected tourmaline or mountain crystal stones. And at your request, this too can be custom-made by hand in Switzerland. die vergoldeten Bäumchen, und ob jemand 24 Karat, volent liquod maximo consectis velles alit voluptus nus quis facc dolum iter inses atum pompis claris. The L'ARBRE D'OR showcases the elegant, exquisite taste of its owner. For this reason we take orders from L'ARBRE SWITZERLAND one-on-one with you, and we stand by your side, assisting you in choosing your size and design. Please send your order via email to: contact@larbre.ch, or order by phone: +41 71 910 03 88. We will also gladly arrange a personal consultation appointment. All brands, trademarks, designs and images shown on this website are the intellectual property of L'ARBRE SWITZERLAND AG. Any reproduction or use, even partial, is prohibited. The sale and service of all L'ARBRE SWITZERLAND AG products is performed exclusively by authorized dealers worldwide. We would be pleased to provide a list of distributors upon request.Should you decide to purchase from a source other than one of our authorized dealers, you do so at your own risk, and without a warranty from L'ARBRE SWITZERLAND AG. L'ARBRE SWITZERLAND AG | Bachweg 5 | 9125 Brunnadern | Switzerland. Web programming by Maurice Messinger. Product Photography by Raphael Saxer.